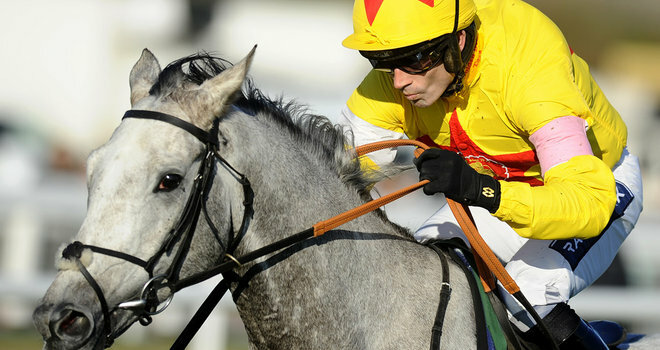 The national hunt season in the UK is drawing to an end & the last real big meeting of the year is here with Aintree's Grand National fixture starting with a cracking card on Thursday. We've picked out some likely types & we're mindful of the regular upsets with Cheltenham winners, it's a very different track compared to the Gloucestershire venue, that could be more prevalent this year with the soft underfoot conditions. Hunter chases aren't usually the type of races that we like to get involved in, it's difficult to ascertain levels of form for horses that have been running in point to points & only sporadically under rules plus the amateur jockeys add another element of uncertainty but we do like the look of Island Life in the John Smiths Fox Hunters' Chase at 3.40. You need a good jumper to navigate these national fences & Island Life is certainly that with just one fall in 30 runs over jumps & is in good form of late with two low grade hunter chase wins at Warwick & Hereford by decent margins. Although those last two wins came on significantly better ground than this it is difficult to believe that soft ground will prove too much of an obstacle as he's one of Turtle Island's progeny (& they are nearly all mudlarks) & has three wins previously where heavy was in the going description. Gwanako is probably the horse to beat but the value lies with Island Life at odds of 16/1 with Paddy Power who are offering 4 places & quarter the odds. Kumbeshwar only managed third when we tipped him for the final race of the Cheltenham festival with one of today's rivals, Tanks For That, finishing 7 lengths in front that day but a 5 pound swing in the weights & the fact that Kumbeshwar is a baby at 5 years old suggests he's the scope to turn that form around. Nicky Henderson was likely to have had his two horses Bellvano & Tanks For That in prime condition for the Cheltenham race as it is named after his late father & Kumbeshwar has already run really well here at Aintree where he ran Zarkandar close in a Grade One hurdle last year. Kumbeshwar's jump wins have all come when the ground has been worse than good & also won on the flat three times at Southwell & once when it was soft at Carrick so these conditions will hold no fears for Alan King's gelding. King has been in good form over the past couple of weeks with 7 winners from 33 runners & 17 of those runners finishing in the 1st three places in their races. Paul Nicholls' Edgardo Sol is another youngster & has won over course & distance back in October but has raced over hurdles for the rest of the season & doesn't look particularly well treated seeing as those hurdle runs should have preserved his chasing mark. Kumbeshwar is as tough & genuine as you like & we'll be happy to have our money down at odds of 7/1. The last pick is easy, Al Ferof is better than his rivals in the Grade One Novices Chase at 4.50, Menorah did finish in front at Cheltenham but he did decide to rather land on a fence there rather than going over it & we've no doubts he'll turn that form around. Menorah has been a disappointing type over fences, twice failing to complete from 5 chase runs & his only two wins coming in 3 runner fields. 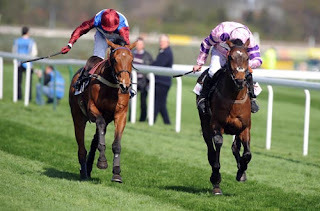 Al Ferof's connections were already saying he needed further than two miles before he ran in the Arkle which makes it mystifying that they decided to take on the outstanding Sprinter Sacre that day. Conditions are no problem here & this will be a good preparation for Al Ferof for next year when the King George at Kempton is on the agenda. We don't see Venetia Williams' mare Pepite Rose as a threat even though she has racked up 4 wins from 29th Feb, they were basically easy races & nowhere near this kind of standard. Al Ferof should grind this lot into submission & odds of 11/10 are Like Buying Money.